The whispers are that the No. 1 job in Canada’s net is Carter Hart’s to lose. At the selection camp this week at the Centre d’Excellence Sports Rousseau, Hart is leaving nothing to chance. A Philadelphia Flyers prospect, Hart turned aside all 10 shots he saw in Canada’s 5-3 victory against the U Sports all-stars on Tuesday. 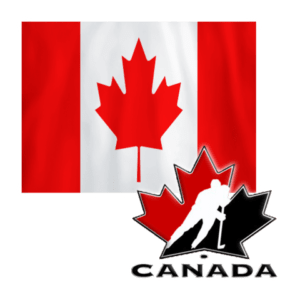 Hart didn’t have an overly busy night before he was relieved by Michael McNiven halfway through the second period, but was sharp and gave Canadian fans a glimpse of what they can expect during the 2017 world junior championship. McNiven had a rough go initially, allowing three goals in a span of under three minutes not long after he entered the game. He settled down and his team was smarter in front of him through the third period. McNiven will play in the U Sports net on Tuesday when the teams meet in the afternoon, while Connor Ingram, who played for U Sports on Monday, will split time with Hart in Canada’s net. It’s an unconventional way of doing things, but Hockey Canada wants the best opportunity to evaluate the goalies. The battle is more between McNiven and Ingram for the backup role. Encouraging for Canada in the victory is that some players expected to score in the tournament got off to a fine start. Sam Steel scored a pair of pretty goals, while Dylan Strome, Taylor Raddysh and Mitchell Stephens also scored. Steel was good on a line with Mathew Barzal and Julien Gauthier, while Strome, Raddysh and Dillon Dube had some strong moments. 20-year old forward Chong Hyun Lee of the Prince George Spruce Kings has been invited to play for South Korea at the Euro Ice Hockey Challenge in Poland. The tournament runs from December 15-17 with participating teams that include Ukraine, Poland, and Kazakhstan. Lee has 10 goals and 11 assist so far this season with the Spruce Kings. His younger brother Chong Min Lee, Dawson Rodin and Ryan Stack have been called up since Lee and Kyle Johnson won’t be available for the team’s three game road trip. Lee will return to the Spruce Kings after the holiday break.